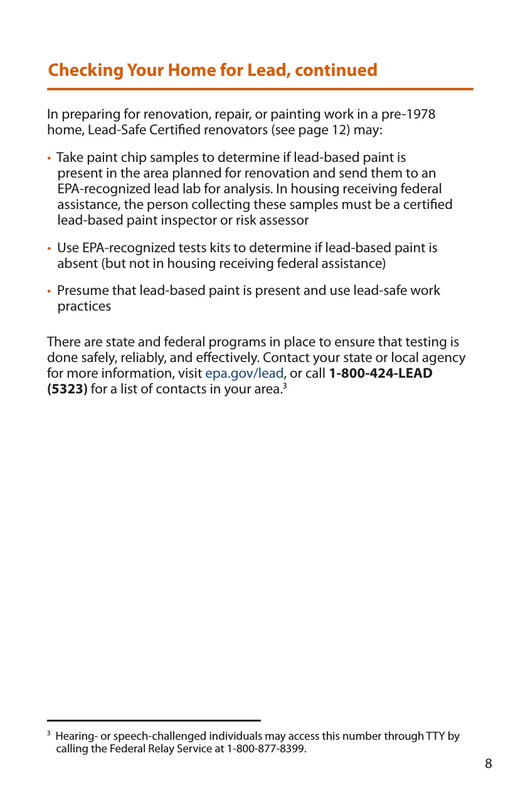 This pamphlet is provided by the Environmental Protection Agency, also known as the ‘EPA’, to better protect lessee’s and new buyers from a residence that potentially has the existence of lead based paint. This type of paint only exists in homes built prior to 1978 and the health effects can serious if any exposure to chipping or falling paint is known. To better protect oneself and their family the EPA has produced this form in order to help better safeguard from this known health hazard.